Now, for those of you who don’t know me, my name is Pauline Park and my passion is helping people like you become cabin crew. 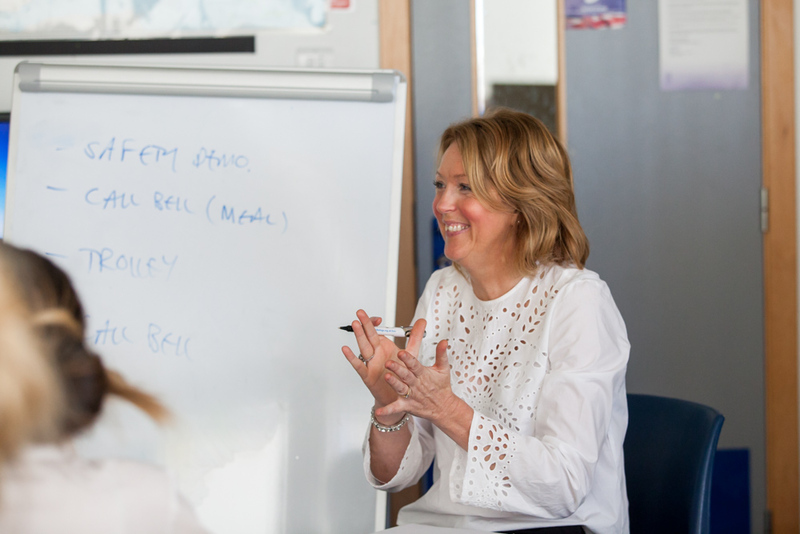 I have extensive experience as I have been teaching Travel and Tourism for 23 years now and, in this time, I have helped 1000’s of students get their dream jobs (including British Airways Jobs in the travel industry. And, now I would like to help YOU. As I’ve been teaching for such a long time, I’m (ahem) pretty old! So, first up you have to watch a series of 10 videos and then you are asked a multiple choice question after each one. This isn’t actually part of the application process but it’s been added in there to make you more aware of what the job of cabin crew actually entails. So, for example, you are shown a video of someone having to get up at 3am to get ready for work and you’re then asked how you would cope with this. Or, you see someone realising that they can’t go to their friend’s wedding as they are on duty and again, you are asked how you would deal with this. So, in effect, what they are doing is giving you a range of typical scenarios to help you decide whether the job is really for you or not. And, it’s not a bad idea as the reality is that the job is not for everyone and these videos highlight a lot of the more challenging aspects of being cabin crew, like the early starts, missing out on important engagements, having to deal with difficult passengers, having to sit yearly exams and having to work with different crew every time you fly. So, whilst you are watching these videos, do have a good think about whether this is the job for you. You are asked to answer a question after each video and you are given feedback from your answer. Read this feedback carefully and take notes of what it says as you may find it comes in useful later in the application process. So, then the application process begins! 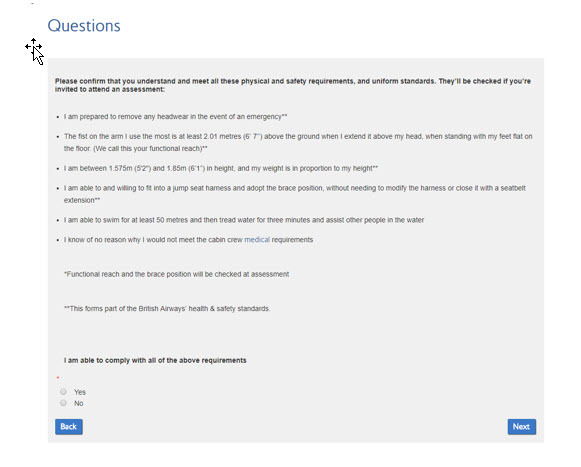 You are asked to answer a range of qualifying questions. These are the BASIC requirements that British Airways are looking for, so if you are unable to meet these requirements, then the airline will not be able to take your application any further. ONLY if you meet these basic criteria will you be able to move on to the next stage of the process. Please DON’T lie as all of these requirements will be checked and verified before you are offered a contract of employment. These requirements are quite detailed, so read them through carefully and do not proceed with your application until you know that you meet them all. And, if you can’t for example, swim? Then don’t apply at this time and go and learn to swim! Remember, if you are unsuccessful with your application, you have to wait 6 months to apply again, so why not prepare well and pass first time instead? You will then be asked to upload your CV. Now, I have written many a blog about CVs and you can access them here, but all I will say is that once you have uploaded your CV, there’s not much more to this stage of the application process. So, they are deciding to invite you on to the next stage of the application process based ONLY on your CV. So, don’t upload a bog-standard CV- this simply isn’t good enough. 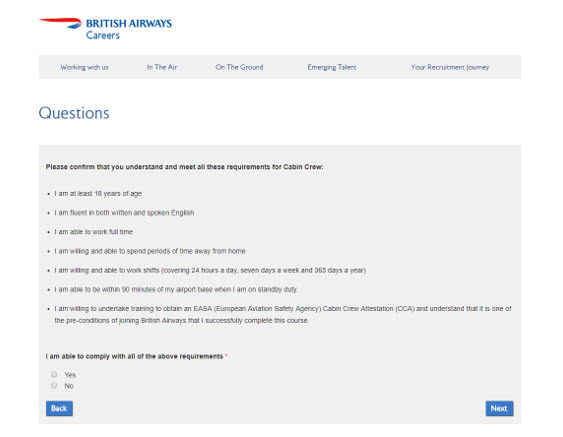 98% of applicants who apply to become British Airways cabin crew are rejected. British Airways actually GIVE THEM TO YOU! Yep, British Airways actually tell you their keywords. So, anyway, we uploaded Stephanie’s CV and sent it off. Woo hoo- Stephanie had got through the first stage of the application process. Remember, this is the stage of the application process that THE VAST MAJORITY OF CANDIDATES FAIL AT. So, this is the stage you MUST FOCUS ON. Don’t let yourself become distracted with lipstick colours, skirt length and shoe height. Because if you don’t get that correct, it’s game over! 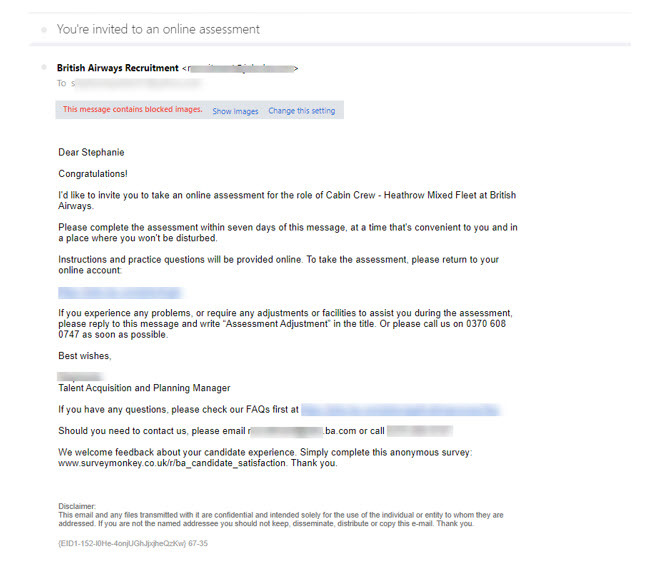 The reality is that if you get through the first stage of the application process, you’ve actually got a much higher chance of becoming cabin crew. The numbers get smaller and smaller as you move through the process, so conversely your chances of becoming cabin crew become higher and higher! Research has shown that over 80% of applicants will not move on beyond the CV stage. So, if 1,000 people apply, only 200 will move on to the testing stage. Approximately 100 will then be invited to an Assessment Day. And approximately 20 of them will be offered a position as cabin crew. So, if you’re any good at arithmetic, you’ll quickly realise that 800 people (out of 1,000!) will FAIL at the CV stage. 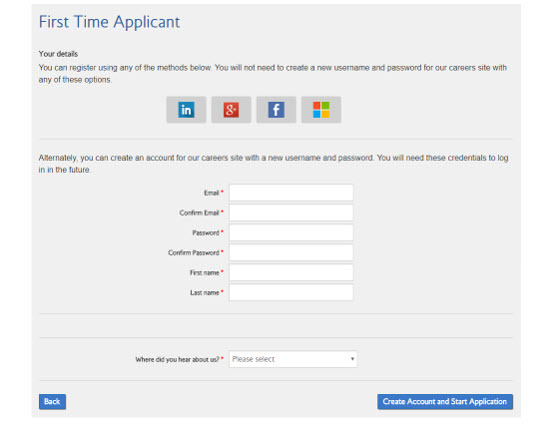 Yep, that’s 80% of applications will not even make it past this stage. AND ALL BECAUSE THEIR CV IS RUBBISH! So, this gives you an amazing opportunity! Well because you now know the importance of having a brilliant cabin crew CV. I’ve also given you all the keywords British Airways are looking for. So, you’ve no excuse now! Go and get working on that AMAZING British Airways CV.